South Australia is the second most attractive investment destination for minerals exploration in Australia, second only to Western Australia, according to an annual survey of 80 junior mining and exploration companies. According to the Grant Thornton Jumex Survey, 40% of respondents rated SA as an attractive state for new mineral investment. The survey also registered an improvement in market conditions in SA for junior miners, and found that the state’s substantial gold deposits were likely to attract investment in 2017. SA Mineral Resources and Energy Minister Tom Koutsantonis said the results of the survey reflected the State Government’s commitment to working with explorers to unlock those resources and create jobs. “That is why we commit millions of dollars each year to partner with explorers to make new discoveries through the PACE grant program. 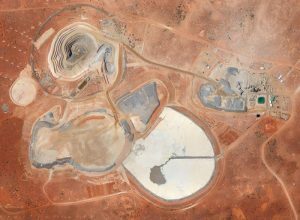 These survey results are a very good sign of confidence in South Australia and it is pleasing to see that so many investors see SA as an attractive place to develop new mining projects,” the Minister said. The SA State Government partners with mining exploration companies every year through the PACE grant program. Approximately $3.5 million in grants were awarded In August to 26 mineral exploration projects, predominantly in frontier areas in South Australia’s north, across a wide range of commodities. Additionally, the State Government earlier this year announced a Copper Strategy aimed at tripling copper production to one million tonnes, or $8 billion each year. The Strategy already yielded significant results towards achieving that goal with the commencement of construction on the 5.5 km exploration tunnel at the massive Carrapateena copper ore body being developed by OZ Minerals. Moreover, WPG Resources also received development approval last week for the new Tarcoola gold mine, which is expected to create 40 jobs over the life of the mine. The State is also home to Prominent Hill and Olympic Dam, where more than 100,000 ounces of gold ore are mined at each site per annum.